As a landlord, taking a tenant to court can be a confusing and daunting process. 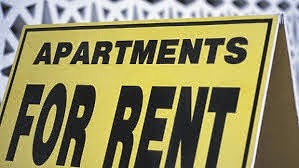 A common reason landlords take tenants to court is when tenants default on leases by not paying rent. North Carolina law, specifically N.C. General Statute Chapter 42, provides a detailed, multi-step process for these types of cases in North Carolina. The law spells out what must be done to legally remove residential tenants in North Carolina and prohibits landlords from using self-help. As a practical matter, landlords often make written demand on tenants to “cure” their default by paying the balance of rent owed prior to initiating a lawsuit. Depending on the wording of the rental agreement/lease, this step may not be necessary in a particular case. If the tenants do not cure the default, the landlord can sue the tenant. There are two (2) avenues available to landlords. The first is a summary ejectment in which the landlord only seeks a court order terminating the tenant’s right of possession under the lease, and allowing the landlord to evict the tenant. The second is a lawsuit by which the landlord seeks to obtain monetary damages (for damage to the premises, for back rent, late fees) and for possession. For either process, the first step is to file your lawsuit. As long as you are not seeking more than $10,000.00 from your tenant, you can go to Small Claims court, which is the quickest way to have your case heard. To do this, the form you need to complete and file is called a Complaint in Summary Ejectment. In this form, you list why you want to evict your tenant and whether you want possession only, or whether you want possession plus damages. You file the Complaint in the Civil Filings department of your county courthouse. The Small Claims filing fee is currently $96. Once you file the Complaint in the Civil Filings department, the clerk will give you a Summons listing the date and time of your Small Claims hearing. In most circumstances the clerks in the courthouse will send the summons to your county sheriff so that the complaint and summons can be served on your tenant. The sheriff’s fee for service is currently $30 for each individual listed as a defendant. If the sheriff is unable to personally serve the Summons and Complaint on the tenant, the sheriff will attach the Summons and Complaint to the front door of the property (service by posting). If the sheriff is not able to personally serve the defendant(s), and if the defendant does not attend the hearing, you will be able to proceed only in obtaining possession, but cannot obtain monetary damages unless and until personal service is obtained. The next step is to prepare for and attend the Small Claims hearing. The Small Claims court will usually schedule a hearing within about 14 days of filing the Complaint. While you are waiting for the hearing date, you should not accept partial rent payments from your tenant, since you could be considered to waive any claim for the remaining balance. You should accept rent only if the tenant pays the full balance owed. Small Claims cases are decided by magistrates, who act similarly to judges in other courts. If the landlord is bringing the lawsuit, the landlord is the Plaintiff and the tenant is the Defendant. The Plaintiff landlord will have the burden of presenting evidence to show that the tenant breached the rental agreement/lease by failing to pay rent. At the Small Claims hearing, you should have all of your documents ready to present as evidence to the magistrate. The most important things to have ready are a copy of the rental agreement/lease, a ledger (or other proof of non-payment of rent), photographs of any damage, and any demand notice you sent your tenant for back rent owed. At the hearing, the magistrate will ask about your rental agreement/lease and how much rent your tenant owes you. You want to have all your figures ready to give the magistrate (including the monthly rent, the late fee, and how much rent is currently owed through the date of hearing). If you proved your case, the magistrate will give you a judgment in your favor. If the magistrate thinks you did not prove your case, he or she will dismiss your lawsuit. If the magistrate gives you a judgment in your favor, the tenant has 10 days to appeal the magistrate’s decision to District Court. If the magistrate does not rule in your favor, you have 10 days to appeal the decision to District Court. There is a $150 filing fee for an appeal to District Court. If you get a judgment in your favor, once 10 days have expired and the tenant has not appealed to District Court, the next step is to get your tenant to leave the property. It is a good idea to first send your tenant a letter telling them that they should leave the property (a Notice to Vacate). If the tenant does not leave, you can have the sheriff remove the tenant from the property and padlock the property. You do this by filing a Writ of Possession with the Civil Filings department. The filing fee for the Writ of Possession is $25. The sheriff also has to serve your tenant with the Writ of Possession, which costs another $30 per tenant. The removal of the tenant from the property (padlocking process) with the sheriff usually takes place about 5 to 7 days after filing the Writ of Possession. The sheriff will contact you beforehand to let you know when the padlocking is scheduled, and you will need to have a locksmith present at the padlocking to change the locks. The sheriff requires no additional fee beyond the $25 Writ of Possession fee to perform the lockout, but landlords bear the cost of the locksmith services. It is important that you do not change the locks without the sheriff present. Once the padlocking occurs, if the tenant has left any personal property at the unit, you have to give the tenant 7 days to come back and get the personal property. To avoid the tenant claiming the landlord has allowed them to continue living at the property, it is important not to give the tenant keys to the property after the padlocking, but rather to unlock the door for the tenant if they need to get any personal property, and then lock it back up after them. – 14 days (approx.) from filing of Complaint in Summary Ejectment until the Small Claims hearing. – 10 days from date of Small Claims hearing until appeals period expires/filing of Writ of Possession. – 5-7 days (approx.) from filing Writ of Possession until padlocking with sheriff. – 7 days after padlocking for tenant to retrieve any personal property left behind. As with any court proceeding, more complicated cases can take longer and require extra steps. Also, if either you or your tenant appeals the Small Claims decision to District Court, the process will be extended. In District Court (but not in Small Claims court), if the landlord is a business (a corporation or an LLC), it will be required to be represented by a lawyer. If you have any questions about a potential eviction case, it is a good idea to contact a lawyer who practices in this area for advice. DISCLAIMER: The information in this article is provided for informational purposes only. It is not offered as and does not constitute legal advice. The accuracy of the information may change pending changes in applicable law. If you have questions about a specific matter, you should contact a lawyer. The use of this article or any information provided in it does not establish any lawyer/client relationship. If you would like to discuss a dispute arising in the context of landlord/tenant law, please contact Peter Isakoff at (336) 273-1600 or pisakoff@greensborolaw.com. A sample Complaint in Summary Ejectment can be found at: http://www.nccourts.org/forms/documents/348.pdf. A sample Summons can be found at: http://www.nccourts.org/forms/documents/822.pdf. A sample Writ of Possession can be found at: http://www.nccourts.org/forms/documents/247.pdf.